Old-fashioned pancakes rule – no flimsy crepes for me! This recipe is the best I’ve found for making old-fashioned thick and fluffy pancakes. 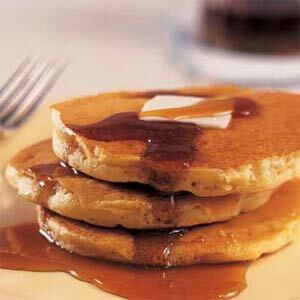 The batter is thick and the cakes come out a good 1/2″ to 3/4″ thick – perfect with syrup or any other topping you like – these babies can handle anything. At the time of this post, the recipe has 5000+ reviews and 4/5 stars out of 5 so you know it’s been tried and enjoyed by many. And they’d be right. Give it a try the next time you’re in the mood to serve a stack of pancakes and actually want them to stack higher than a couple of inches. The recipe yielded about 8 good-sized pancakes (about 5″ in diameter). I made muffins for breakfast this morning. It’s what I always do when it’s time to do the groceries and our bananas are too ripe to eat normally… 🙂 I like the addition of granola to give the muffins a bit of crunch. The mashed banana as well as the diced banana adds a lot of flavour as well. This recipe is from the Barefoot Contessa Cookbook. The recipe can be found here. Not the greatest pic but it’ll do. I made 12 muffins (we ate 2 for breakfast) and 4 nini-loaves. 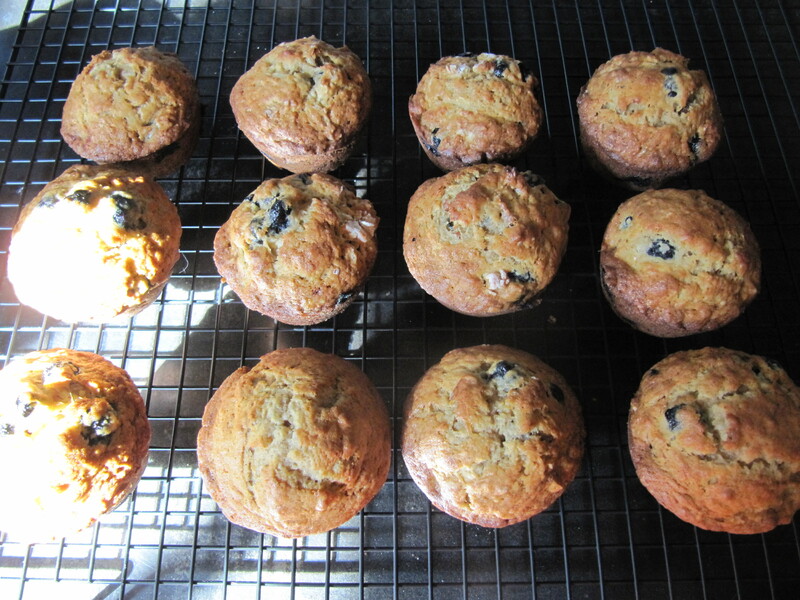 For breakfast I made Ina Garten’s Tri Berry Muffins. The recipe called for strawberries, blueberries and raspberries. I swapped the raspberries for blackberries and they still turned out great – lots of fruit and cinnamon. Perfect with coffee in the morning! I couldnt’ find the recipe on the Food Network but it’s from her Barefoot Contessa at Home cookbook. I read somewhere that a cupcake is really just a gay muffin. Cute. 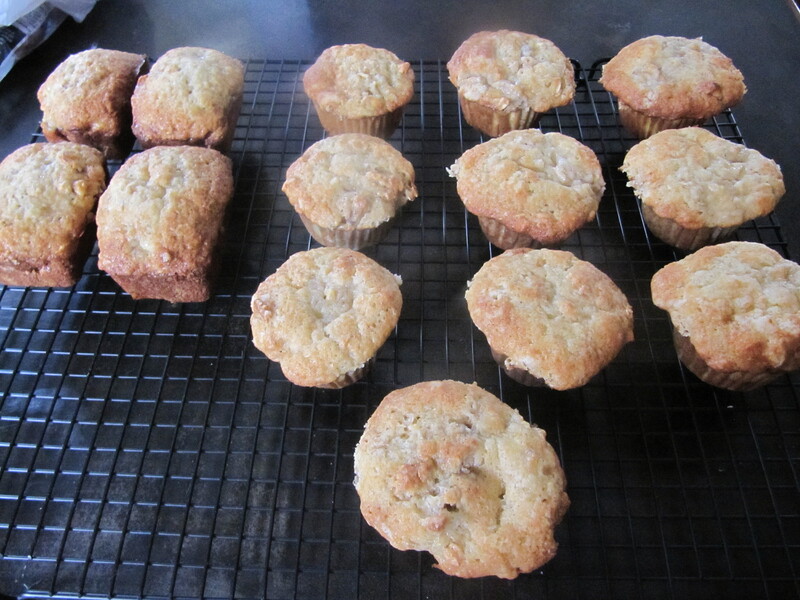 I actually tweaked Tyler Florence’s Banana Nut Muffin recipe found here. Instead of 4 bananas (2 mashed + 2 whipped into the batter), since I only had 2 ripe bananas on hand, I substituted the mashed banana that gets stirred in for texture with about a cup of fresh blueberries. They looked good coming out of the oven and smelled like only baked goods can smell – heavenly. And they tasted great too! I had 2 for dessert (after the leftover garlic chicken). Life is good. This recipe was from the Barefoot Contessa at Home cookbook. They were easy to make, but I didn’t flour my work surface enough so had a bit of a challenge getting them from my board to the sheet pan. That being said, they still turned out great. The filling was super tasty! These were part of breakfast on Canada Day. 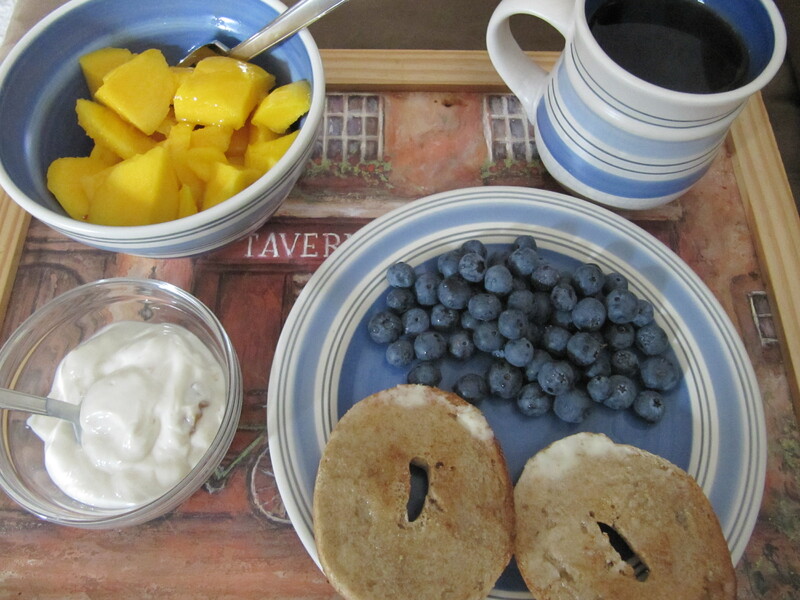 I made these for breakfast this morning. They’re from the Barefoot Contessa Cookbook. The recipe can be found on the Food Network site here. You can really taste the maple syrup in these (no substitutes!) and the maple glaze gives them that extra punch of flavour. Being Canadian, the taste of real maple syrup is a highlight. 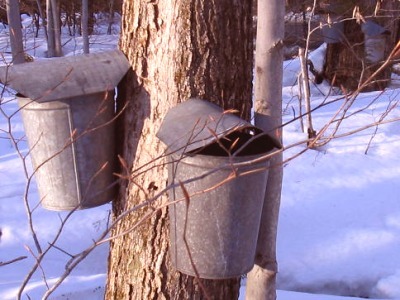 🙂 Every spring (March/April) growing up, there were school or family trips to the sugar shack to enjoy the traditional meal followed by the treat of eating maple syrup on snow… It was always when the weather started to warm up, all the maple trees had buckets attached to them to catch the sap drippings which is then transformed into maple syrup. The meal usually consisted of eggs, ham, pea soup, pork rinds, baked beans, pancakes with maple syrup, homemade doughnuts, maple tarts… Healthy? Hell no. But fantastic nonetheless. 🙂 “La Goudrelle” is the sugar shack we went to most regularly. 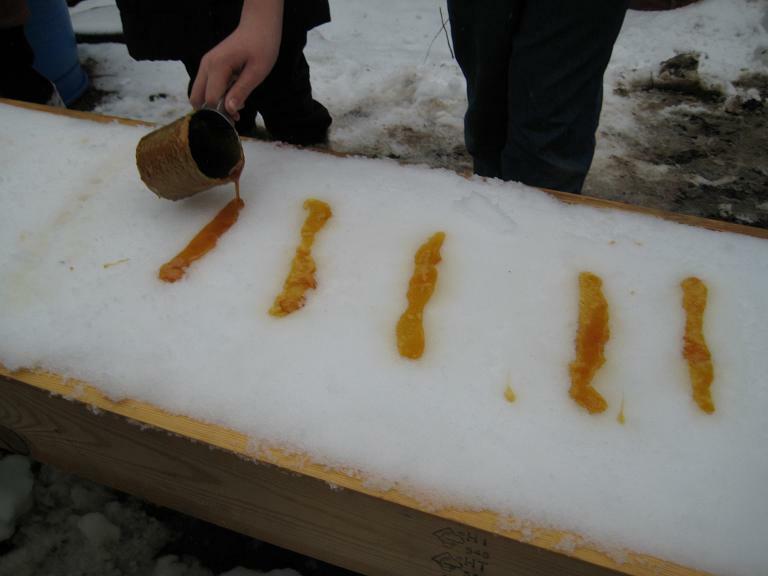 Mmm Maple syrup on snow. You're given a popsicle stick and place it perpendicular to one of the syrup strips, then roll it to wrap the syrup around the tip of the stick. Awesome! 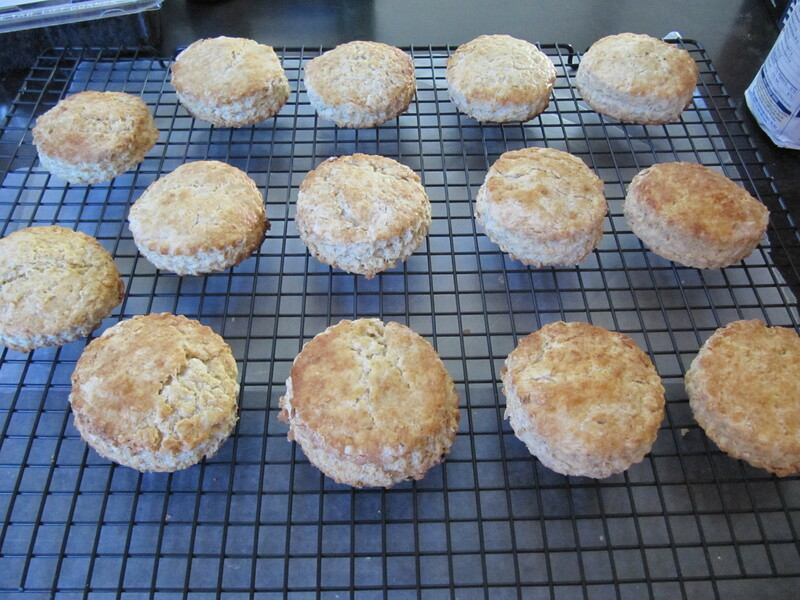 Here are the scones right out of the oven, cooling (on one of my new racks), right before I added the glaze. 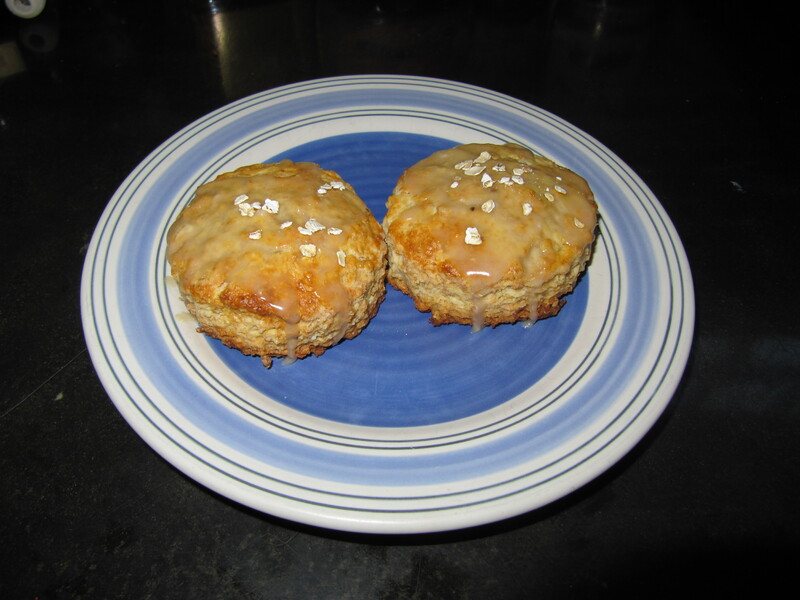 And here they are, glazed and oat-sprinkled, ready to be eaten.